The DF8 class numbers 140 locos and is split between Mudanjiang and Wuhan depots. Mudanjiang's engines spend most of their time working freights on the lines to Harbin, Jixi, and Qitaihe and are often double-headed on heavy trains. 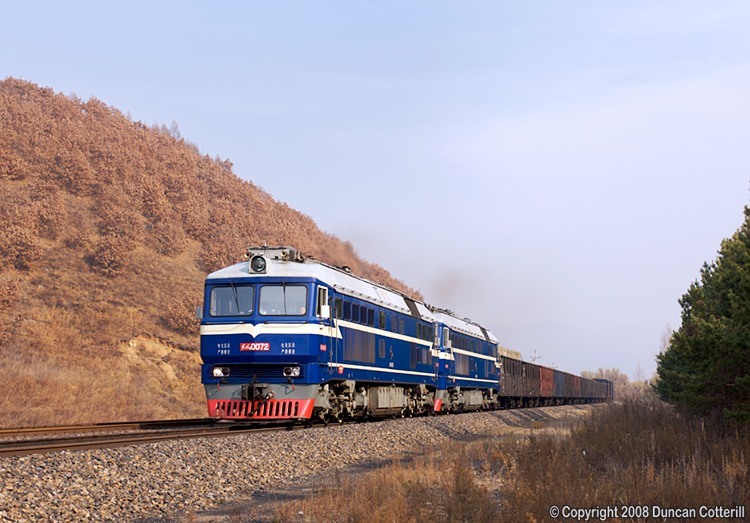 DF8 0072 and DF8 0092 put their combined total output of over 8000HP to good use accelerating a heavy freight up the gradient east of Shanshi on the Mudanjiang to Harbin main line on 15 October 2008.